Few would argue that voice controlled home automation is the preferred smart home system for the average Joe. Major brands such as Amazon, Google, and Apple have made it easy for people like you and me to get started in the smart home game. But these clever speakers don’t always provide the level of control required when you have amassed a collection of lots of products from different manufacturers using different protocols. You then have the headache of many different apps to control your growing home automation ecosystem. If you’re already up and rocking with a voice assistant, thankfully things like Alexa Skills can help tie most of your devices together when using voice commands, but what if you simply want to use one app to control all of your smart devices, perhaps you want one access point when you are away from home, or maybe you have reached the extent of the scenes and automations available through your existing setup? In this day and age, the best thing about smart home automation is that it’s pretty open among different devices. For instance, it’s not like only Apple devices will work with Apple devices. What you’ll find is native devices are compatible with other rival devices, but you may need a central box to manage all your other different boxes. As we mentioned in our What is a Smart Home Hub article, a dedicated smart home hub differs from voice automated systems. The main difference being smart home hubs provide deeper integration options with your various different devices. Smart home hubs are the first essential ingredient for creating the best smart home system. Throughout the years, manufacturers have begun to realize people want simplicity when it comes to creating their smart home. Needless to say, we’ve found the best smart home hub devices that will make the process of setting up enjoyable. Check out our list below! This is a great product for starting your smart home journey as it is both a voice assistant AND a Zigbee smart hub all rolled into one. 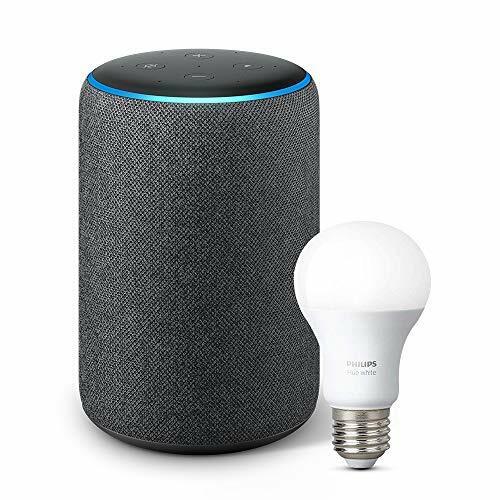 Importantly for beginners, it also gives you access to Amazon’s WiFi Simple Setup providing what the company has called “frustration-free” setup, so connecting new smart devices like smart plugs is almost seamless across the entire Alexa ecosystem. This will save you a serious amount of time and headaches during new device configuration, removing the need to jump between your wireless router, Alexa and the device apps to get things working together. Personally, this is the first device I picked up and I still have it in my home to this day. I use it to control all the lights in my room, set an alarm, make my morning coffee & tell me the news. However, most importantly, Alexa tells me every morning, “I look like sunshine on a rainy day”. I know, it’s really, really…. sad. I find the hardware in this device and it’s simplicity in setup to take the throne as the best smart home hub. Over the past couple of years, Samsung has really picked up their game when it comes to smart tech. From there smart T.Vs to their phones and now to their smart hubs. They’re giving rivals such as Apple a run for their money. Back in 2017, the Korean giant (Samsung, not Kim Jong Un) released their first official smart hub. The great thing about this device is that it’s compatible with many others thanks to it’s ZigBee and Z-Wave connectivity. 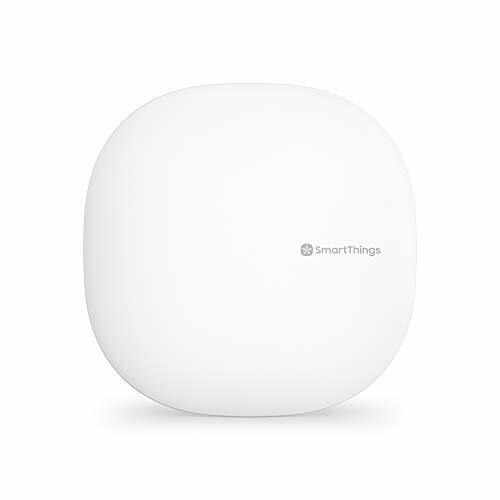 Why has Samsung SmartThings Hub earned the first place as one of the best smart home hubs? Well because it offers the best bang for the buck. However, having said that. It’s not the perfect device and we will highlight its pros and cons further down. 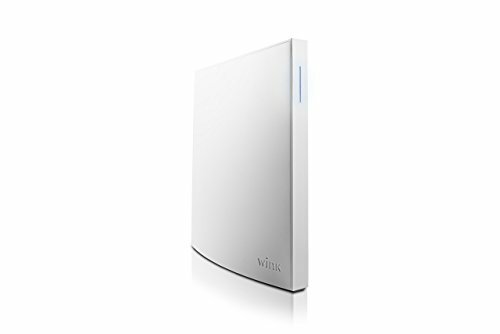 Introducing one of the most loved smart home hubs, the wink hub which is currently in its second generation. Similarly, it includes a range of connectivity options such as Bluetooth, Zigbee, Z-wave, thread and unlike its direct competitor, wifi. It also plays well with both Nest or Ecobee. It’s pretty unique and futuristic design allows it to be extremely blendable with any scene within your home. The redesign and additional features of this generation smart home hub make for a much more friendly user experience. However, there are some drawbacks that keep it from earning the best smart home hub. There are various different methods when it comes to implementing the best smart home hub setup. Different manufacturers require different methods. Fundamentally they all follow a similar type of approach. Plug in your smart home hub. It should take a few seconds/minutes to load up. Depending on the device, it will show a light when it’s ready to go. On a side note, always refer to your manufacturer setup guide supplied with your smart home device. As each device can have a different method of setup. Download the smart hub app. Similarly, within the manufacturer setup guide, they will say the name of the particular app you need to download for setup. For instance, to set up Amazon Alexa, you don’t download the Amazon app but the Alexa app. Once that’s done, the app will guide you through the setup. Usually asking for your credentials and what not. The app can be accessed through the Google Play Store or the Apple App Store. Connect your smart hub to the wifi through the app. It’s always a very simplistic and straightforward process. The only issue I’ve ever run into with the devices was a slow internet connection. In this case, if you do decide to invest in a smart home hub I’d recommend also possibly picking up a wifi extender too. When it comes to this part of the setup, you usually leave the smart home device app and go to your wifi settings. Then you click the dedicated wifi titled with your smart home hub manufacturer name. Once this is done, go back to the app and the hub will automatically detect the wifi and progress to the next step. Follow the process until the end and then you’re good to go. This is simply just a rough guide. As I said, each device is different. However, the process of setting up is always straightforward so don’t worry about it. Before you begin using your device, make sure that it’s up to date. Similar to the setup process each device is different when it comes to updating. Some of them do it automatically while others may require a manual update. Manual updates are either conducted within the app themselves or on the physical device by holding down an action button. Issues often arise after initial set up because the device’s firmware isn’t up to date. Whatever device you have purchased check out YouTube videos on how to update the device or refer to the manufacturer manual. Initially, it may take a while to update your device. There are numerous factors at play such as how large the update is, how good is your connection, the device you have, etc. So don’t worry. It’s not broken, it just needs a bit of time. Perhaps what might be a good idea initially is to plug in your device close to your modem. Let it do its update and once it’s done relocate the device. On a brief note, some devices actually allow you to test the connection. This can come in real handy when trying to find the most ideal location to set up the device. 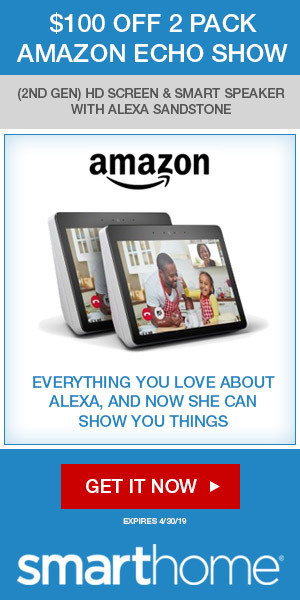 As far as I am aware, you can test the connection with Samsung smart hubs however you can’t with Amazon Alexa. It really depends on which device you purchase. They each have their pros and cons, which we will examine later on in this article. Ultimately, your connection is pretty much dependant on your own internet connection. If that isn’t good then you’re not going to have the best smart home hub. The Best Smart Home Hub Positioning – Does Location Matter? One of the most important questions you can ask yourself is, where is the best location for my smart hub? It’s important to place hubs and extenders in positions that allow them full access to do their jobs. For instance, distancing your wireless router drastically from your smart hub could more than likely turn it into a dumb hub. Keep the distance between your hub and modem within a reasonable range, much like with a wifi enabled video doorbell. Furthermore, the hub should be placed in an unobstructed location to maximize its wireless range. In this case, avoid placing the device near walls, corners or large furniture. Just try and keep it located in an open space. As I mentioned earlier, if you live in a large space you should purchase multiple hubs as extenders. Either a hub in each room or on each floor. Finally, place it in a room where most of your smart home devices reside. This will ensure greater connectivity.